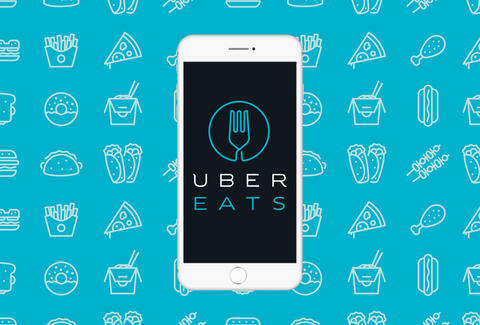 Is UberEATS the Answer to All Your Seamless Woes? There’s no debating the fact that nearly everyone living in New York City is reliant on Seamless for at least a quarter of their weekly meals (or more), but the world ain’t all sunshine and soup dumplings. In fact, despite all the positive things about Seamless, there’s plenty to complain about: long waits, occasional high minimums and delivery fees, ghost restaurants, suspiciously high ratings for random sushi places you can’t Google (ghost restaurants? ), and a lack of curation (have you really ever ordered from one of the 900 combo pizza/bagel/kebab places? Are those ghost restaurants too?!). Well, perhaps your Seamless days are behind you. Uber recently unveiled its standalone food delivery app, UberEATS, with service currently available below 100th St in Manhattan. In a similar vein to other Seamless competitors like Caviar, UberEATS features a well-curated list of over 100 NYC restaurants (some -- though not all -- of which aren’t available on Seamless), like Court Street Grocers, Noreetuh, Empellon al Pastor, and Egg Shop. You can pay with your Uber account, and (like Seamless) order from places that are within your delivery zone. But does UberEATS have more going for it than its competitors? Let’s evaluate. Standard delivery time for Seamless is anywhere from 35 to 55 minutes, with Caviar and Postmates somewhere in the same realm. UberEATS is arguably the fastest, offering as low as a 15-26 minute wait on some orders. There’s also an instant delivery option that promises to get you food in under 10 minutes from a list of daily specials from local restaurants (this feature is currently only available between 14th St and 59th during the week from 11am-2pm). Menu prices remain the same on UberEATS, but unlike some Seamless vendors, there’s no requirement to meet a minimum in order to place an order on UberEATS (many on Seamless can be as high as $15 or $20). And, whereas Caviar and Postmates charge a delivery fee on ALL orders, there's none of those on UberEATS either. So you could theoretically order a $3.25 carne asada taco from Otto’s Tacos and call it a day -- an option unrivaled by any other delivery service out there. A rep for Uber tells me this won’t last forever though, and there are only no minimums and no delivery fees “for a limited time.” They’ve assured that when the change is made, the fee, which will be tacked onto all orders, will be low (though no number was specified). One thing that won't change? Like a regular Uber, you don't have to tip. This really can't be emphasized enough. While Seamless/GrubHub has made a concerted effort to remove these "fake" restaurants (a rep told me in January, "We made changes as soon as the issue was brought to our attention. Since then, we have removed the small handful of restaurants that were in violation of our terms from our platforms"), it's still worth emphasizing that UberEATS is free of ghosts and full of some of the city's best restaurants. But there's also arguably a downside to this high-level of curation -- you certainly won't find any 24-hour diners or late-night pizza places on here to satiate your post-bar hunger. But will it outshine the competition? Maybe. But other than the speed and (temporarily) low prices, UberEats isn’t offering that much more than its competitors. With the ability to get literally anything you want from anywhere via Postmates, it’s hard to really argue that this app (or any other) offers a venue you can’t order form on any other platform. So it’s really just about keeping fees low and delivery fast. One thing Seamless still really has going for it? Reviews. Like Caviar and Postmates, UberEATS doesn’t allow users to review restaurants (though you can give a thumbs up or down rating on food items and the overall experience). Again, the list of restaurants on the app is pretty well-curated (there are no combo pizza/bagel/kebab places here), but that doesn’t mean people aren’t still curious what others have to say, in detail, about that mac & cheese bagel (I just want to tell a friend about it, OK?!). Lucy Meilus is Thrillist’s New York Editor. Follow her on Twitter and Instagram.